Property can be transferred in a number of ways – not just through being bought and sold. As the property owner, you have the right to give it away or exchange it for other property. To transfer your property quickly and efficiently, you may use a quitclaim deed in Florida. 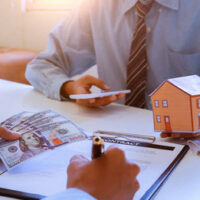 If you are interested in giving real estate to a spouse, a new or current co-owner, or to a trust, contact an attorney for assistance throughout the process. It is common for a quitclaim deed to be a single page document. Due to its simplicity, many people think they can do it themselves. However, it is best to have the document drafted or reviewed by an experienced attorney who can ensure there are no defects. When you use a quitclaim deed to transfer real estate, you are not making any promises or guarantees about the title. This means there is a greater amount of risk for the grantee in accepting a quitclaim deed. If it came to light you did not have full or proper title to the land, the grantee would not get the property. This is why this transfer method is typically used for individuals who know and trust each other and not between strangers. To ensure the transfer of a quitclaim deed, the original document should be recorded with the county recorder for the county where the relevant property is located. Until the deed is recorded, it is not valid against third-party interests. When the quitclaim deed is recorded with the county, one of the parties must pay the transfer tax to the Clerk of the Court for the county. This is also known as the documentary stamp tax, and is typically paid by the grantor. The tax is 70 cents per every $100 of the property’s sale price. Miami-Dade County is the only county with a different tax rate of 60 cents per $100. Transferring property to other individuals is rarely simple. It could have a number of consequences, including for any mortgage on the property or the grantor or grantee’s taxes. Before you sign property over through a quitclaim or accept property this way, speak with an experienced real estate attorney about the risks and benefits. Our attorneys of the Law Offices of Larry E. Bray, P.A. are here to help. Contact us online or call 561-571-8970 to schedule a consultation.